Dr. Rahman graduated from Duke University School of Medicine and completed his Urology residency at the University of California, San Francisco (UCSF). He has co-authored numerous nationally-recognized articles and has spoken extensively at national and international meetings. He was recently awarded the Robert Krane Prize in Urology for the top research paper in the British Journal of Urology. He initially started his career in Arizona, but returned to California to join Valley Urology. 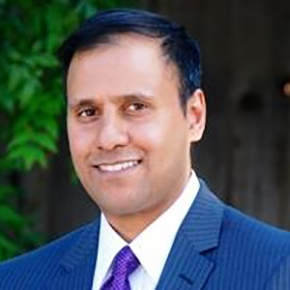 Dr. Rahman’s professional interests include male infertility, erectile dysfunction, male and female reconstructive surgery and minimally invasive surgery for prostate and kidney cancer. He is regarded as a national expert in the field of robotic surgery. As such, he is actively sought to teach other Urologist robotic and minimally invasive surgery. While not attending to patients, Dr.Rahman enjoys spending time with his wife and two children.